On Norway´s national day; 17th of May, the peaceful village of Tønsberg is shaken by a brutal attack in the middle of the city square. The dramatic event hits the lawyer Svend Foyn where he is most vulnerable: his daughter, Mari, is connected to the violent event through her boyfriend, and it seems like her life is in danger. The police’s main suspect in this case asks Foyn for help, simultaneously his daughter’s boyfriend disappears without a trace. Foyn’s quest for truth will be a challenging journey in time and space. It leads him to Berlin and Buenos Aires, connects him with extremists and dangerous ideas, police with unclear agendas and a painter seeking truth. During this investigations Svend Foyn also discover traces after systematic abuse of adopted children. A dangerous game is developing, a game where truth and justice are the victims. This is simply Mehlum at its best. Here is both action and drama (...) and maybe it's time for Foyn to go to the movies? I would go and see it! 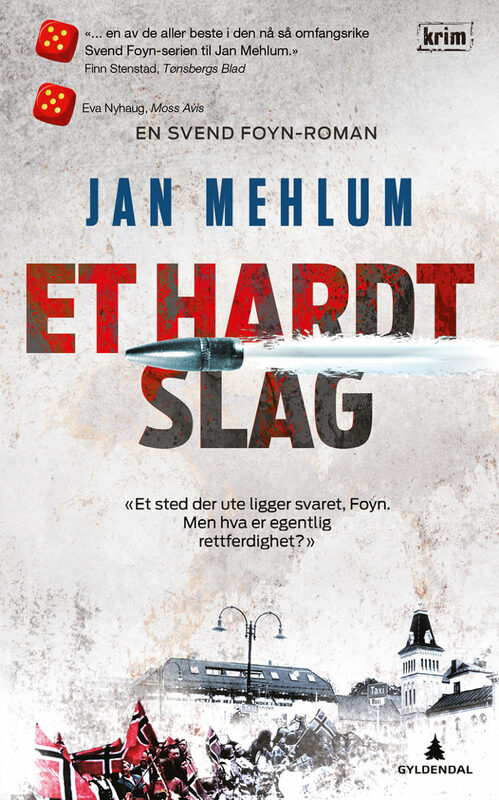 A typical Mehlum novel with a great mix of all the right ingredients! High pace all the way! He writes a type of crime novels I find are lacking. Where people care about each other and a «hero» will not actually give up until they have helped the victim. Because the weakest always has top priority on Foyn's list.